Once a child has completed their first term it is then assumed that they will continue on a more permanent basis and their place will automatically be reserved for the following term. If your child decides they no longer wish to continue please would you be kind enough to inform Rose as soon as possible; via text, email or phone call. As much as Rose would not want students to stop their dance training, Rose does appreciate from time to time students have other commitments and it just might not be feasible for them to continue. If classes drop in numbers this does have an effect on whether a scheduled dance class can continue to run. Where this is the case, regular students may have to join a class at a different location and on a different day in order to continue with their dance training. 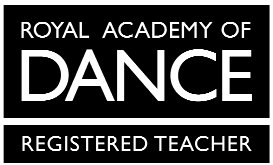 All Children who currently attend a Pre School/Nursery Ballet class and will be starting school in September of that year will automatically have a place reserved at the local school. Those who attend Ely Guide Centre - Monday 2:00pm, will have a place reserved at Ely St John's Primary School Monday 3:15pm. Those who attend Little Stars Day Nursery, Waterbeach - Wednesday 2:00pm and St John's Church, Waterbeach - Friday 1:40pm, will have a place reserved at Waterbeach Primary School - Wednesday 3:30pm. Those who attend Soham Methodist Church - Thursday 2:00pm, will have a place reserved at The Weatheralls Primary School, Soham - Friday 3:15pm. Your child will automatically have a place to start at the relevant school, to start in September. If your child is unable to attend the suggested class above, please would you be kind enough to inform Rose before September, otherwise Rose will assume your child can continue and will keep their placement reserved for September. If your child decides they no longer wish to continue please would you be kind enough to inform Rose before September and she will offer their place to someone else. If you would like your child to attend a different lesson on a different day to what Rose has suggested please let her know and Rose will do her upmost to accommodate your requirements. New Students - Where spaces are available new students may join a class at any time throughout the term. Fees will be applied after the initial free trial class. Where a class is full a waiting list is in place. Student absence - If a student is unable to attend their weekly class due to sickness, prior engagement etc… Rose is most grateful if you could inform her via text, email or phone call.